The right membrane can help companies improve the quality of their ice cream and other dairy products. Most manufacturers strive to keep costs low and profit margins up. Even when creating such consumer favorites as ice cream, cheese or yogurt, lowering the price of production is usually welcome. Most dairy products are created using either milk, cream, skim, condensed skim, or a combination of two or more, according to an article published in the Journal of Food Distribution Research. Production facilities usually source these ingredients from other manufacturers, relying on third parties to produce the cream, condensed skim or other ingredients for them. This not only causes them to rely on delivery schedules but can also make them vulnerable to any low-quality products. Additionally, each of these products has its own unique shelf life, and the longer it takes to transform, say, cream into ice cream, the less fresh the final product will taste. 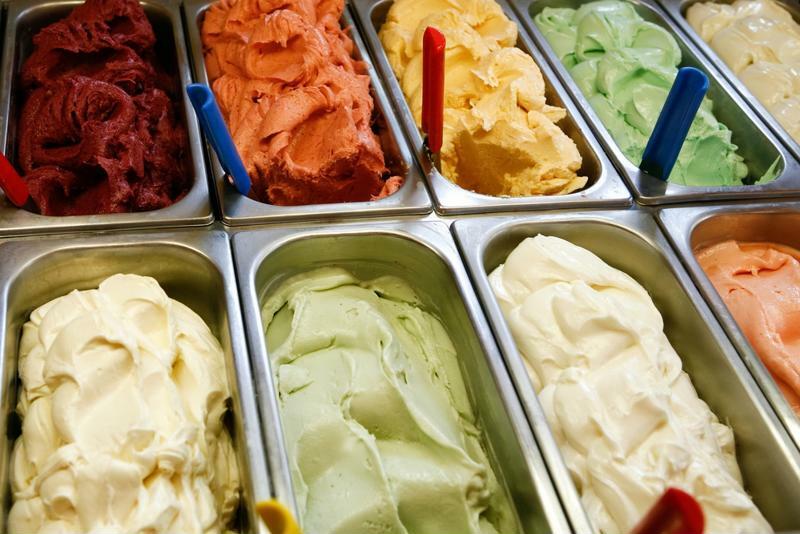 Ice cream may taste fresher when ingredients are produced in-house. There are ways for dairy manufacturers to reduce expenses related to sourcing ingredients, though. Additionally, some of these same techniques can lead to the creation of new products, allowing the facility to maximize revenue for each ingredient. These cost benefits can come from the use of membrane technologies. To understand the application of membranes in dairy processing facilities, it's important to understand the sequentially more fine methods of filtration, Dairy Foods pointed out. The first level of dairy filtration doesn't take much out of the fluid. Course particle filtration is often carried out using sock filters or screens. Microfiltration removes or breaks down large particles in the milk. Fat is taken out through microfiltration to create skim milk, and macromolecules are separated to become more fine, Dairy Processing Handbook explained. In microfilters with smaller pores, the proteins whey and casein can be separated from the fluid. This type of filtration can also remove bacteria. Ultrafiltration removes all large particles, including proteins and fats. The only substances that pass through an ultrafilter are water, minerals and some lactose. While some lactose passes through during ultrafiltration, this technique is one of the most commonly used for lactose reduction, according to the Journal of Food Science Technology. Diafiltration is an additional step sometimes tacked onto ultrafiltration. This method involves the addition of water to dilute the fluid and can serve as a way to reduce the presence of lactose in milk further. Additionally, after the ultrafiltration process is complete, the remaining fluid – the milk protein concentrate – is often very thick, and diafiltration dilutes the retentate, according to Dairy Farmers of Canada. Nanofiltration only allows salts and water to pass through, leading to a partial demineralization. Finally, reverse osmosis is the most fine filter. Only water is allowed through during reverse osmosis, leaving behind a pure milk concentrate. Ice cream manufacturers often source cream and condensed skim for their products, and these ingredients are typically shipped pre-processed and packaged right to the factory. Because of the labor performed on these dairy components prior to their purchase, companies pay more for these ingredients. By sourcing whole milk instead of the cream and skim, ice cream manufacturers can lower their cost of production. Whole milk can be filtered through a membrane to source cream and skim in-house. Reverse osmosis is a cold process, which has a few additional benefits to a company offering high-quality dairy products. Ice cream and yogurt manufacturers sourcing ingredients through a third-party that separates pure milk into various byproducts often purchase evaporated milk, which is created with heat. The heat evaporates the water from the milk, which is essentially what reverse osmosis does, too. However, the process of evaporating the water out of the fluid also cooks the milk slightly, which changes the flavor. By developing these ingredients in-house using cold filtration processes, the fresh flavor remains in the milk concentrate, enhancing the flavor of the resulting ice cream or yogurt. Organic low-fat dry milk is hard to find, but membranes may allow yogurt producers to make it themselves. 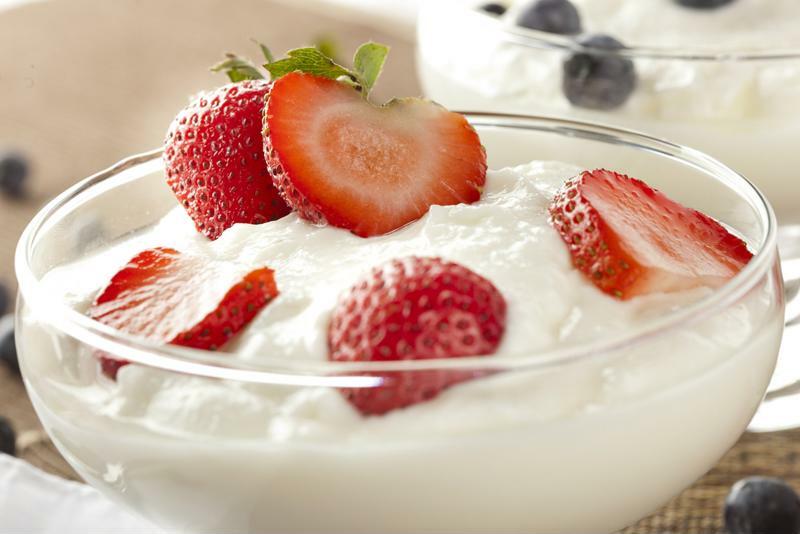 For yogurt manufacturers that have low-fat or nonfat products, using membranes can also help them improve the texture of their products without having to purchase additional ingredients. Solid matter needs to be added to yogurts low in fat, and companies often use non-fat dry milk to increase the amount of solids. Not only is acquiring non-fat dry milk an additional expense, but it's also very difficult when producing low- or nonfat organic yogurt. By using reverse osmosis within the company, yogurt producers can start with organic skim milk and filter out the solids it needs for the final product. Cheese manufacturers face some of the same concerns as ice cream and yogurt manufacturers in that they often need to source dairy products from other companies to create their products. Using membranes, milk can be condensed into a powdered product made mostly of proteins and butterfat called dry ultrafiltered milk or milk protein concentrate. MPC is excellent for improving cheese production yields, but is generally purchased from third parties, often located in New Zealand, according to the Journal of Food Distribution Research. As such, it's a pricey ingredient to purchase. By adopting membrane technology, cheese producers can create this useful ingredient themselves. More U.S.-based dairy farmers are beginning to utilize membrane technology right at the farm to reduce the cost of transporting raw milk. With this equipment, they're able to perform ultrafiltration and reverse osmosis to create various raw milk byproducts on-site rather than having to ship their milk to other locations and companies. In the dairy industry, adhering to industry standards is crucial. All equipment that comes in direct contact with dairy products must be sanitary and should meet certain federal and industry benchmarks. One of the best markers of top-quality equipment is being 3-A approved. 3-A Sanitary Standards Inc. strives to help dairy, food and beverage manufacturers maintain quality in their products. They have strict standards as to the types of equipment that can be used. Likewise, Enerquip also works hard to ensure its customers receive equipment that meets the applicable industry standards. Stainless steel membrane housings are durable, long-lasting, lightweight and sanitary. Enerquip's membrane housings are carefully designed to maximize product flow, with smooth-ground, polished welds and large tri-clamp side ports. Reviewed and approved both by 3-A and the U.S. Department of Agriculture, operations that invest in Enerquip's housings can feel confident that the products they create using membrane technologies are safe to use and consume. To learn about how Enerquip can benefit your dairy production operation, reach out to our knowledgeable heat exchange engineers.